• What proves to be useful in fact? • And what if there was a radically different way to be effective in our coaching work for the benefit of our clients? Peter has this talent to lovingly shake our mindset and open up new and fresh perspectives at how we can be most effective as coaches. • Look at common assumptions about coaching and critically check to which extent you want them to be valid and effective in your practice? • Discover fresh and different ways to interact with your clients and see with which new questions you prefer to experiment in the future. • Become aware of your influence and responsibility in co-creating the “story” that your client will be leaving and living with. • Experience working with a simple tool-set of coaching questions which make it more likely for clients to continue on their own with no further need for coaching. 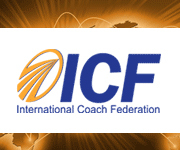 Coaches who want to become even more effective in their work with their clients.